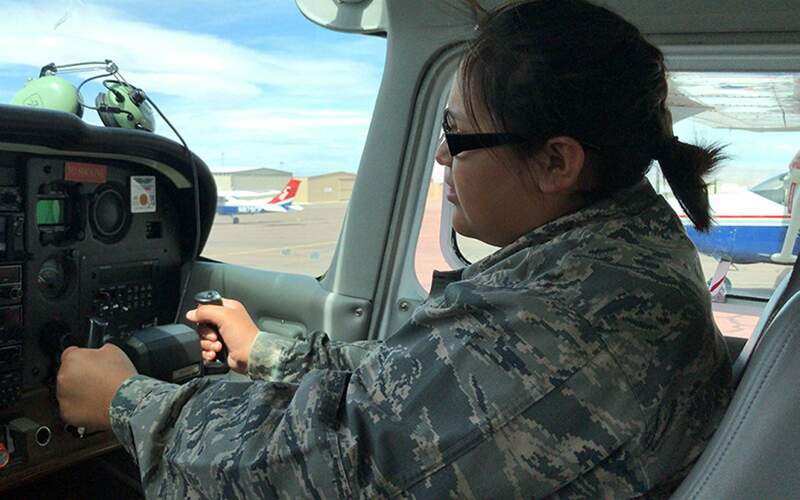 Cadet Amaris Tracy settles into the cockpit and prepares to copilot a single-engine Cessna over the Grand Canyon recently. PHOENIX – Cadet Amaris Tracy climbed into the cockpit of a small plane, her face calm but her hands shaking slightly. Flying through barriersNone had ever been in a plane until they strapped into the Cessna single-engine plane. “Honestly, it’s crazy that they let us do this – crazy in a good way, I guess, because this is such a cool opportunity,” she said. 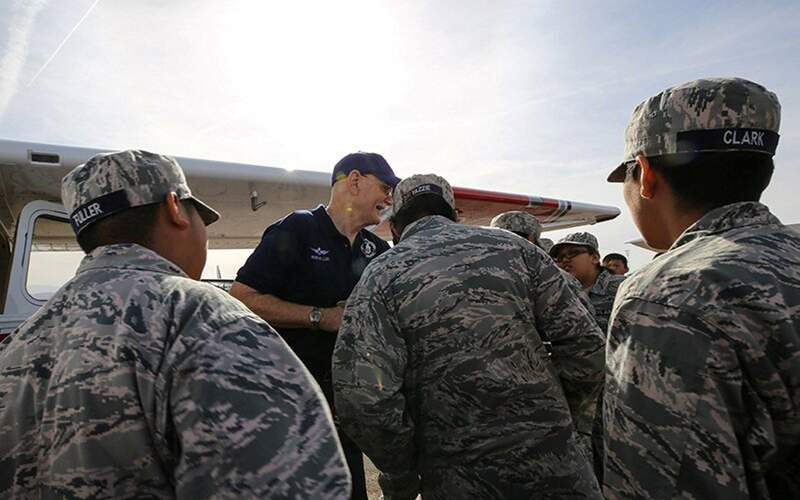 A Navajo legacyThe squadron, the newest in Arizona in almost 20 years, was designated the Code Talker Bahe Ketchum Composite Squadron 211. Flying toward the futureDakota Ross, who comes from a line of military veterans, said the day held special significance. “For so many of the kids in this program, being a part of the CAP and getting to wear the uniform is like a badge of honor,” he said. “Watching my son take off – oh my gosh, it was scary. But at the same time, I’m excited for my son,” she said.